Lori has been in and around aviation since the mid-eighties. Shei worked for a commercial airline for seven years, with most of those years devoted to recruiting, interviewing and selecting new hire pilots. She has given workshops and inspirational seminars to flight schools and conducted interview prep for many pilots, including management pilots in the airline training environment. Ms. Clark and her team have interviewed thousands of pilots and reviewed many, many thousands of resumes and applications. Ms. Clark has participated as an Advisory Board member for Chandler Gilbert Community College, Pan Am Academy and Arizona State University-Aeronautical Science Department. She was the subject of a feature article in AviationCareer.net magazine (May 2001) and Pilot Careers Magazine (May 2004) and has been quoted in numerous aviation articles. 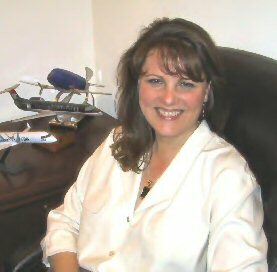 Ms. Clark left the airline to form this company in an effort to better help pilots achieve the next step in their airline careers. She is a nationally certified Professional in Human Resources holding a B.S. in Marketing and a Certificate in Human Resources Management from Cornell University. 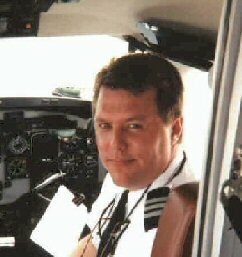 Todd started his flying career in 1989, eventually working as CFI/CFII/MEI and Assistant Chief Instructor at the FlightSafety Academy in Vero Beach, Florida. After flying as a "freight dog" in the Pacific Northwest, he was hired at a large regional 121 carrier into the "mighty" Beech 1900D. He eventually worked his way into the Canadair Regional Jet as a Captain and IOE/Line Check Airman, and served on the pilot interview board for five years. He is currently a Captain for a major airline in Denver, flying the Airbus 319/320. John joined the aviation family in the late 1980's while serving as a Japanese interpreter for American Airlines. He then became a stock broker for the next four years. After deciding that this wasn't the career for him, he turned back to aviation. This time he learned to fly. John started flying in 1996 and after earning his ratings he accepted a position as Flight Instructor for Glendale Aviation and then Sabena Training Center. In 1999 he was hired by a large regional airline. During John's tenure with this regional airline he served as First Officer on the B1900D and CRJ, Captain on the DHC-8 and CRJ and was a pilot interview board member for four years. After Jim earned his ratings he became a freelance Flight Instructor and was hired in 1993 by a large regional airline to fuel airplanes (He really started at the bottom!). In 1995, he acquired his ATP and was hired by the same regional airline as a First Officer. While flying for this airline he served as First Officer in the B1900D and EMB120, Captain in the EMB120, DHC-8 and CRJ. Jim also held the position of initial/upgrade/ transition/recurrent ground school and simulator instructor. He further participated in writing Flight Manuals for the airline. Jim was hired by a major airline in December of 2000 as First Officer in the B737. 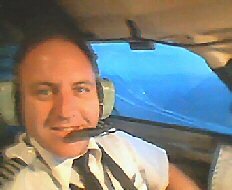 Shortly after completing training he was asked to teach Flight Management Systems for the B737, (he just can't stay away from instructing...) and in February 2003 upgraded to Captain. He transitioned almost immediately to his current position as A319/320 Captain. Jim participated on an airline pilot interview board for four years and holds a four-year degree from Parks College.